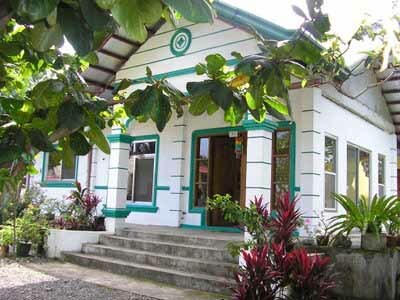 Pearls Transient Villa is a popular place to stay in Pagudpud, book now! Pearls Transient Villa is a very comfortable homestay located in Poblacion 2, between Pagudpud Municipal Hall and Saud Beach. They offer 3 bedrooms and two of these rooms are air-conditioned, they also have four toilets and baths, along with a separate kitchen. The kitchen at Pearl's Transient Villa comes complete with cookware and utensils, cooking stove and gas, a water dispenser and purified water, a blender and a coffee maker, an oven toaster and also a refrigerator. Guests can use the kitchen and facilities and self cater. There is also a multi purpose hall for dining or other leisure activities. They also have a secure car parking area for up to 6 - 8 vehicles. No room at this hotel and fully booked? Then why not try Tartaruga's and come stay with us. 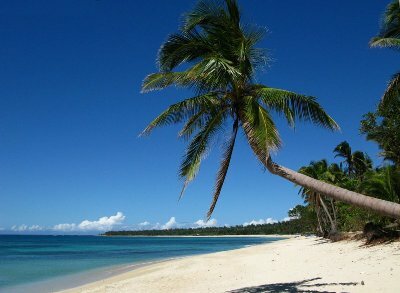 The secret is nearly out and many foreign and Philippine tourists are today becoming greatly interested in Pagudpud. One well-thought-of and foremost international travel writer rated Saud Beach as Number 1 on the list of the Top Ten best Asian Beaches. so you better uncover Pagudpud for yourself before the tourists find out. The local area comprises really fine-looking and almost abandoned beaches, outstanding waterfalls, lovely scenic vistas, and a real genuine get away from the rat race feeling. It is no wonder that so many movies and television commercials are filmed here. Just close your eyes and envisage a beach without too many tourists, no noisy jet skis, no strip of bars and not even a McDonalds restaurant! The Pagudpud village is located just to the north of Bangui and its now renowned windmills and inland lies the monumental Cordillera Mountain Range, the largest mountain range in the Philippines. To the North and the West are the balmy waters of the South China Sea, you are going to want to take a swim at Saud Beach. Because Pagudpud is so uncommercialized there are limited places to stay and you need to book well ahead at Pearls Transient Villa.